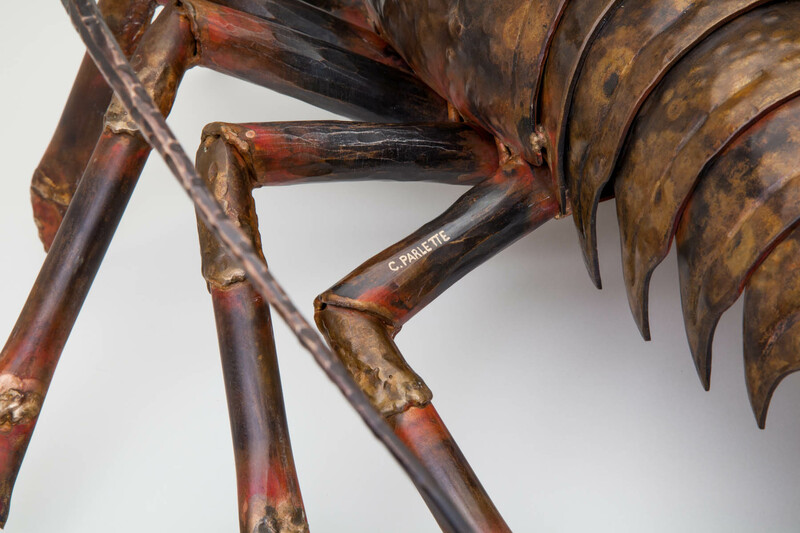 Giant lobsters were once common in Southern California’s coastal waters. 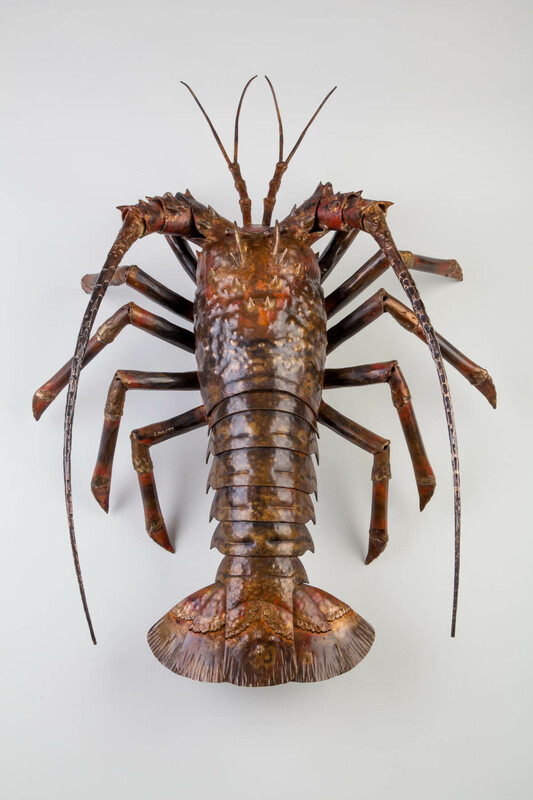 Estimated to be well over sixty years old at maturity, lobsters this size and bigger were the kings of their domains. 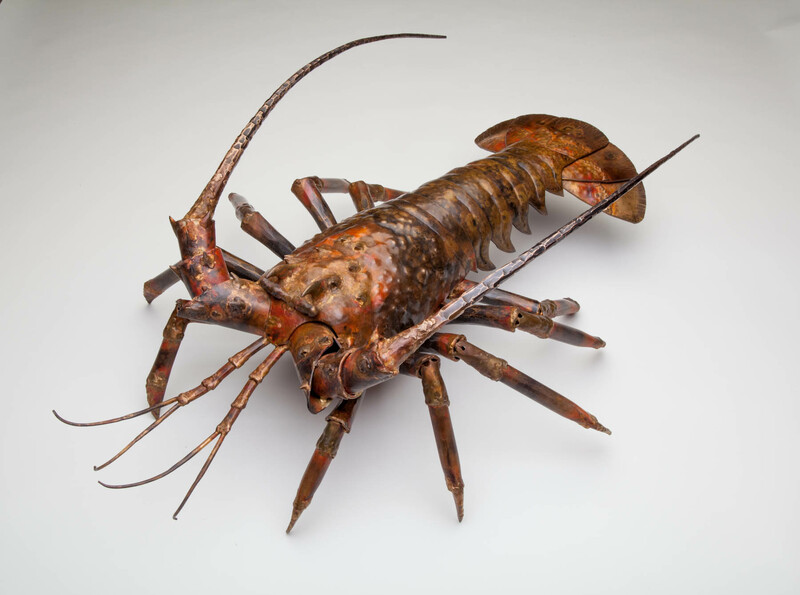 Almost as rare as these lobsters are people alive today who were witness to the time of giants. 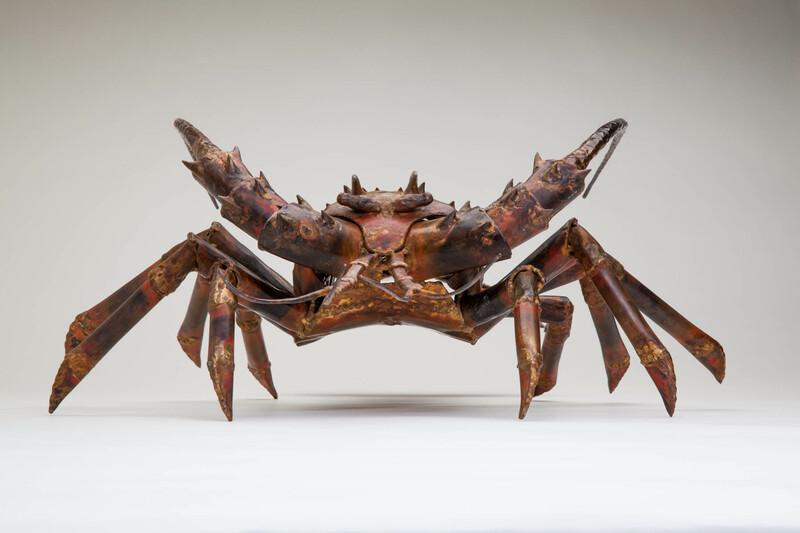 This sculpture is forged, hammered and welded out of bronze. 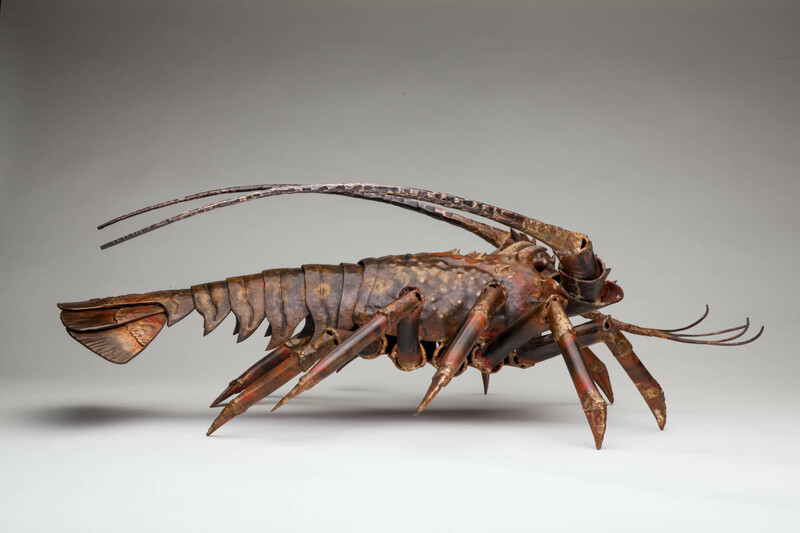 Each segment is individually shaped and welded together to form different segments of the lobster’s armor.